No. of Colors: 20 Colors mapped to DMC and Anchor. This is the fourth rose of the In Full Bloom series. 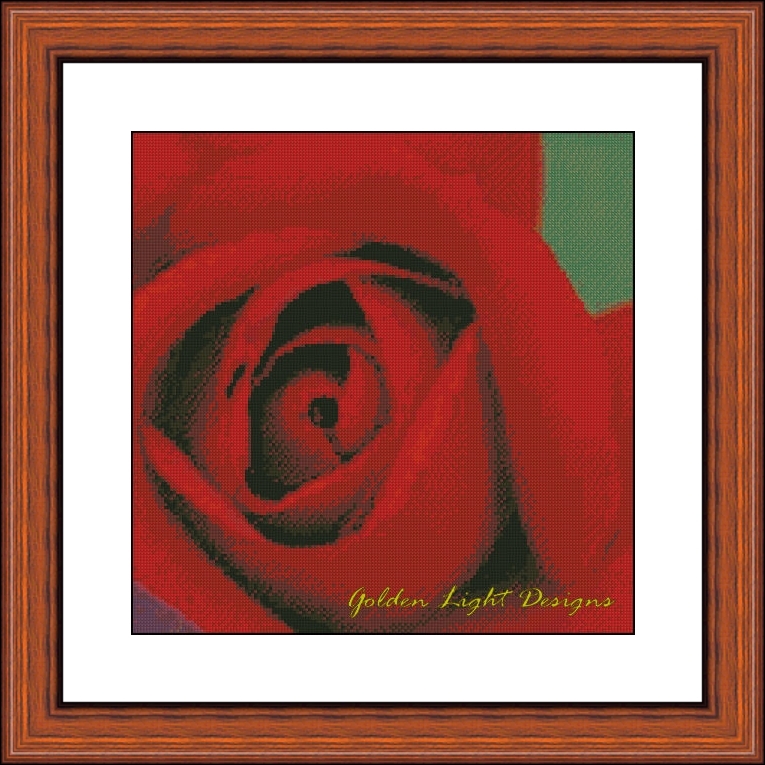 The series depicts various roses in beautiful and amazing cross stitch charts. This is a beautiful red rose.